This kid. And her sisters. They teach me more than I could ever teach them. About myself + the world + what it means to be fully alive. 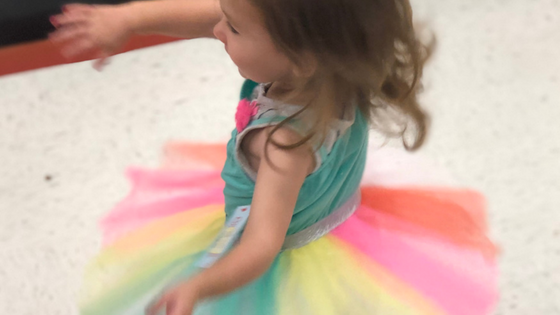 PUMPED that she found a 'fancy' dress to match her big sister -- so pumped she asked me to turn on 'Moana music' (not kidding) so she could dance through the isle of Target. Barefoot, always. And as the music streamed from my phone, she started twirling + spinning + hopping + joyfully bounding her way through the store, adding in a little something extra for those who were paying attention. Totally + completely IN the moment. A moment I most likely would have missed if I had still been wearing that perfectionist armor. Worrying about what people would think. I'm not sure what brought more joy to my soul -- watching her or watching strangers watch her. Do you remember what it feels like to feel that FREE? To dance + sing + just BE who you are. Free from the wondering of 'what they'll think' and all the rules that tell us how we're supposed to look + dress + feel + be. Free from conforming. Boarding up. Shutting down. And acting the way the world says you're supposed to act. As I walked alongside of her - I could see the faces of strangers soften. And smile as they watched her gallop + twirl on by. The whole experience moved me. What is our job, really? What is our role? I asked this question to a group of educators in my keynote last week. It's a question that keeps surfacing in our home. There's not one 'right' way. Or one 'right' answer. And, I believe -- one of our greatest responsibilities - in parenting + leadership - is to create a safe container of space for people to be who they are. A place to explore + grow + dream + stretch + fall + learn + RISE. A place to tap into the magic that's already within. And for Bigs that means playing soccer with the boys. And even though she was the one requesting to play with the boys, our parenting choices were questioned. ☝️there’s a whole lot of assuming going on here. About her. Us. And the way it’s supposed to be. And our conversations about why there’s a gender split for rising 3rd graders - against the recommendation of the Women's Sport Foundation’s research - were never had in front of her. Our job is to create a container of space for her to be who she is. It’s not our job to mold her into who we think she should be. I’ll tell you - this kid has challenged my own view of gender roles and what it all means. Especially when it comes to clothes. And why the long, comfortable sport shorts - and blues and blacks and greens are in the “boys” section. Creating a cultural current that makes it so easy for her to feel like she has to reject a part of herself to be who she is. It’s not an either or thing. It’s an AND. BOTH thing. We (collectively) use so.many.labels + rules to define what the “right” way looks like. How we’re supposed to behave. Dress. Act. What we’re supposed to chase. I love what Stephen Curry said in his recent blog, This is Personal, about being world class - and being actively about inclusion. This isn’t a gender only issue. It’s a race issue. A sexual orientation issue. A class issue. Asking ourselves to thoughtfully question what + who’s behind the rule making + right way is transformative. It doesn’t mean more for me, less for you. There’s enough room for all of us. Samantha earned a master’s in education and spent six years teaching science at Norcross High School in Gwinnett County, Georgia, where she served on the school-wide leadership team, co-chaired the science department and was nominated for Teacher of the Year. 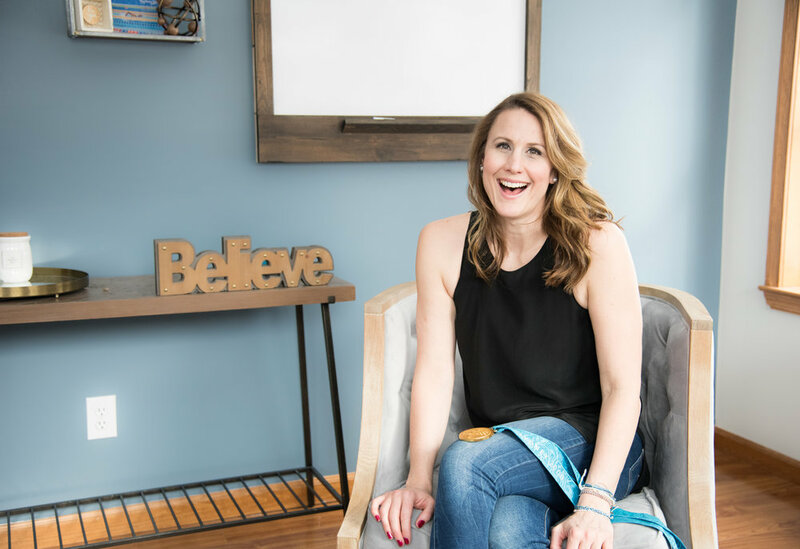 In 2014, after a traumatic and perspective-shifting experience involving her young daughter, she took a leap into the world of entrepreneurship to live her dream.